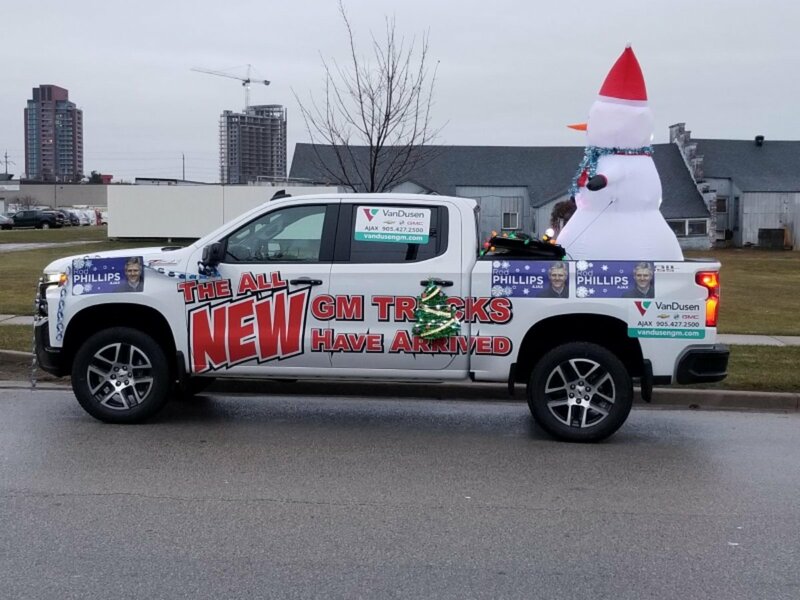 VanDusen is proud to support and participate in the annual Ajax Santa Clause Parade. Ajax and Durham Region residents were invited to come out and welcome Santa and his parade of supporters. And to particpate in Santa’s Magical Parade of Lights. The parade began down the street from our dealership at the intersection of Bayly Street and Mackenzie Avenue. We went east on Bayly and then north on Harwood Avenue South. The parade ended at Ajax Town Hall followed by a special tree lighting ceremony and after party.